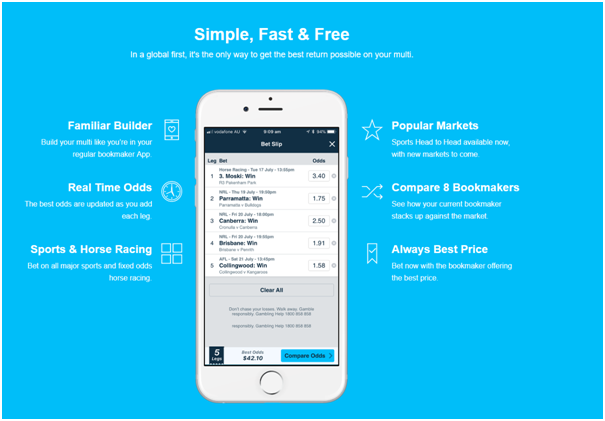 Home / News / How to beat the odds on horse racing with Multi Maxa App in Australia? Multi Maxa is a new app launched recently for Aussie punters where you can compare the odds of sports and horse racing multis to find you on average 15% better odds on sports multis and 30% better odds on racing multis. With no consistent stand out bookmaker, comparing odds on every multi is the only way to ensure you’re getting the best odds, every time. Going back and forth between bookmaker Apps to compare prices is too time consuming, so with Multi Maxa you simply build your multi, compare the odds, and max your return. You can compare the multi bet odds pricing of the world famous bookmakers like Ladbrokes, Crownbet , Topbetta, Palmerbet, bet365 and more. You can compare the bets for various sports and horse racing namely being Horse Racing, NRL, AFL, Super Rugby, Tennis, NBA, NHL, NFL, MLB. You needn’t go back to each bookmaker but compare multi odds in one place to get max return. You can build your multi like you’re in your regular bookie App. The best odds are updated as you add each leg. With over 20 sports you can bet on all major sports, including Australian, US and Euro. Add fixed odds Horse Racing legs to your multi and find Head to Head available now, with new markets to come. Also see how your current bookie stacks up against the market. Easy to bet now with the bookie offering the best price. Find what multi promotions the bookies are offering. Where to get the free app? The free app can be downloaded from app stores. Click here to download now for iPhone and requires iOS 10.0 or later device. Click here to download now for Android smartphones and requires Android 4.0 and up device. As there is tough competition between bookmakers, so by having online betting app there are lots of benefits. If you are a hobby punter most bookmakers, particularly on major events and sports, offer money back specials up to $50 should your runner finish second and third or your sports team is beaten in a close finish. 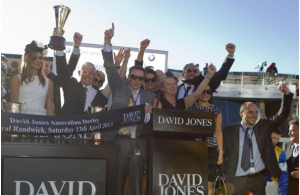 On most Group I Australian races, the majority of online bookmakers have special promotions can often allow you to enhance your payout should you find the winner. Plus, if you open a new account with any corporate bookmaker then you will receive a sign-up incentive, which are far ranging. When you compare these online betting sites including you find an independent review of every bookmaker so you can make the best choice when betting online.